We would like to send a big Thank You to the staff at Epic Image for their wonderful fundraiser in support of this year’s Project Holiday. It’s a big effort involving a number of Yarmouth residents and organizations, and every contribution of time, presents, and/or funding is much appreciated. Thank you! Aging in Place Survey will arrive soon! Some of the more than 40 wonderful volunteers that prepared 4,600 community surveys for mailing to all Yarmouth residents on February 1st are shown in the photo above. 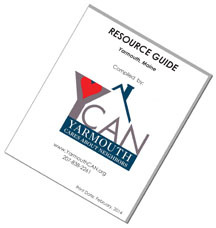 Please watch for the Yarmouth Aging in Place Community Survey coming to your mailbox at the beginning of February. We hope that all Yarmouth adults will complete this survey. The Focus Groups (Listening Groups) we ran in the fall gave us a lot of information about the support people need to help either themselves or family members remain in their homes/community as they age. Now we are asking the entire community to help us set our priorities. Results of the survey will be used to plan for Yarmouth to be a more age friendly community. Posted on February 2, 2016 February 7, 2016 Author ycan11Categories UncategorizedTags Senior ServicesLeave a comment on Aging in Place Survey will arrive soon! Click on this link to see the flyer for six upcoming seminars at Merrill Memorial Library, with the first on September 23rd and the last on October 28th. Three will be held during the afternoon, and three during the evening. – Aging In Place Home Modifications, Assisted Living, Alzheimer’s Education, Hearing Assistance. to local shopping areas, banks, the YMCA, etc. For more information, please contact Jean Rafford by phone at (207) 329-7295 or e-mail her: jeanrafford “at” gmail.com. Please leave your name, telephone number, and the day you might like a ride. You will be contacted to work out the specific details of pickup and dropoff. Volunteer drivers cannot provide mobility assistance. If you know someone who can provide you with this assistance, they are welcome to join you for the trip. Otto’s in Yarmouth will be donating 8% of proceeds gathered between 5p – 9p tonight to three local organizations, so tonight is a great night to plan on take out pizza for dinner!! The funds received by YCAN will be used to help bridge the gap for any shortfall in this summer’s Lunch Crunch program (free summer lunches for kids).